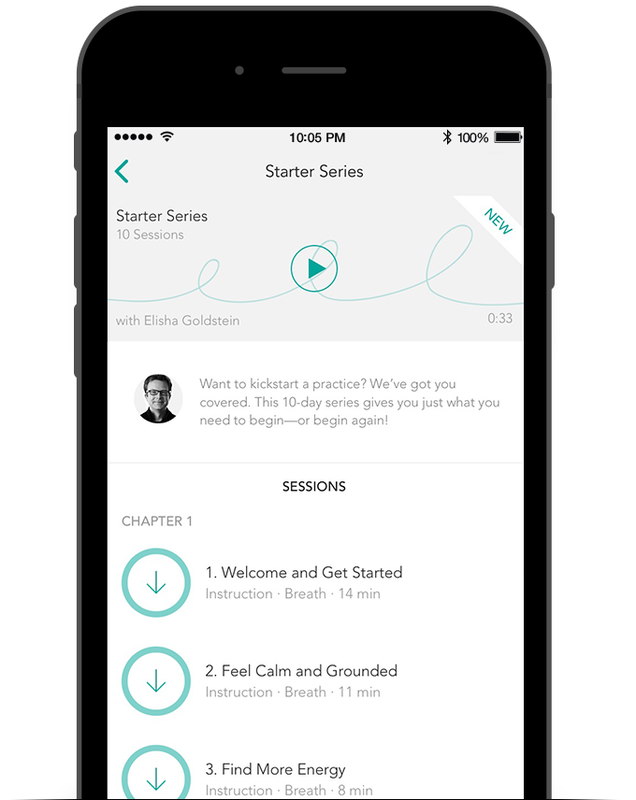 This 10-day Starter Series created by meditation expert Elisha Goldstein gives you just the right mix of instruction to get you hooked on a daily meditation practice. There are 10 sessions designed to be done daily so you can build a new, happy habit while learning life-changing tools that last. The series gives you practical meditation tools to help with the everyday challenges we all face, like stress and anxiety. Whether it’s using your breath to stay focused or simply practicing gratitude, you’ll experience how meditation can help you feel grounded and balanced, and how it gives you more clarity in the midst of busy everyday life. compassion to find a greater sense of balance with life itself. These are all guided meditations, but as you progress you’ll experience more and more silence within the meditations. Remember, you’re giving yourself an incredible gift—so congratulations on getting started! Great App for Beginning Practitioners! "Great App! It has helped me establish a consistent meditation routine. As someone newer to the practice, this App walks you through the process and slowly initiates you into the pattern of daily meditation at a pace that is inviting and helpful so that you can begin to create a daily habit. Highly recommended!"